A virtuoso trumpeter and composer, Brandon Ridenour’s brilliance and self-assurance on the concert stage led to his victory at the Concert Artists Guild Competition and a thriving career worldwide. Recognized as “…the trumpet of the future” (Chicago Sun Times) and for “demonstrating the trumpet’s huge potential for lyricism” (Cleveland Plain Dealer), he has combined his wide-ranging activities as a soloist and chamber musician with his passion for composing and arranging, resulting in his distinctive artistic voice and vision. Brandon began arranging music for trumpet as both a solo and collaborative instrument in order to expand the possibilities for his instrument, sometimes including a melding of musical styles, and creating a new cross-genre repertoire. In addition to showcasing these works in his own recital and concerto performances, his arrangements are also featured by the ensembles Founders (a quintet featuring trumpet/piano, violin/voice, clarinet, cello and bass) and USEFULChamber, both of which Brandon is a founding member. At the age of twenty, Brandon became the youngest member ever to join the iconic Canadian Brass, a position he held for seven years. While with the group, he played in distinguished venues around the world, performed on television, recorded ten albums, and received three Juno Award nominations. He also arranged numerous pieces for the ensemble, which are still performed today. Active in the recording studio, Brandon’s latest project, Come Together, features his arrangements of Beatles songs scored for a diverse array of musicians/instruments. Due for release in 2019 to celebrate the 50th anniversary of this Lennon & McCartney classic, Brandon hopes to convey through music the importance of humanity coming together. He recorded three previous solo CD’s. the most recent of which is Fantasies and Fairy Tales, featuring his own virtuosic arrangements of classical masterworks for trumpet and piano, collaborating with pianist Rachel Kudo. Highlights of the 2018-19 season include US recitals from coast to coast, including the Cal Poly Arts series in San Luis Obispo, CA and the Artists Series of Tallahassee, FL, as well as a tour of Japan. These follow 2017-18 highlights at NYC’s Le Poisson Rouge and in Southern California at the Lisa Smith Wengler Center for the Arts at Pepperdine University. As a concerto soloist, he is featured with the Greensboro Symphony (NC), Missoula Symphony (MT) and with the Chamber Music Society of Lincoln Center for its annual Baroque program at Alice Tully Hall. Brandon has appeared as a soloist with the National Symphony Orchestra, Los Angeles Philharmonic, and the Indianapolis, Jacksonville, Greensboro and Edmonton Symphony Orchestras. He has performed with the New York Philharmonic, International Contemporary Ensemble, the Knights, Orchestra of St. Luke’s, and the Mahler Chamber Orchestra. Other solo performances include the Kennedy Center, Walt Disney Hall, and Carnegie Hall, including his 2016 Weill Recital Hall debut and a recent Stern Auditorium performance of Penny Lane alongside Sting and James Taylor. He has also been featured with the Chamber Music Society of Lincoln Center in its annual performances of Bach’s complete Brandenburg Concertos at Alice Tully Hall and on tour across the US. 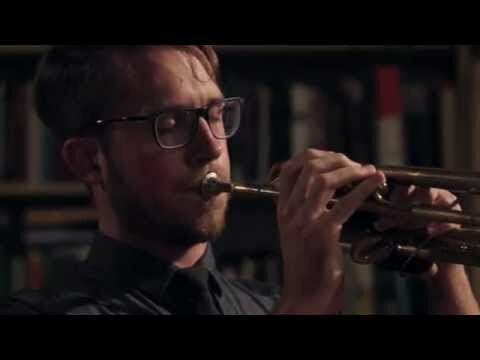 A graduate of The Juilliard School and an alumnus of Carnegie Hall’s Ensemble Connect, Brandon Ridenour is the winner of the 2006 International Trumpet Guild solo competition, a recipient of the 2006 Morton Gould ASCAP Young Composer Award and, most recently, a 2016 National Composition Contest winner for the American Composers Forum. He began his musical journey at age 5, studying piano with his father, pianist Rich Ridenour.